Meshoe is a passionate, soft-spoken woman, who clenches her fist several times throughout our conversation to hammer home her frustration – and also her hope that her countrymen will begin to recognize Israel for what it is, rather than the caricature often portrayed in the media back home. She is leading a group of 30 students and community leaders on a nine-day tour of Israel; beginning in the Galilee, via Tel Aviv and Sderot, it culminated in Jerusalem in the middle of this week. The tour visited the Knesset on Tuesday and met Yesh Atid MK Dov Lipman, who stressed how important their voice is in South Africa. Indeed, Meshoe’s group is part of a small but growing movement among black South Africans who are finding ways to express support for Israel. The idea was that black South Africans bore the brunt of the racist legislation of Apartheid, and can now play a crucial role in disputing the slander being directed at Israel. They see South Africa as a key battleground in the BDS arena, specifically because the apartheid issue resonates so strongly there. In August, just as this summer’s Gaza war was winding down, DEISI sent out a call for applications to attend its November inaugural tour of Israel. Meshoe emphasized that “those applying should be ready to learn a lot in Israel, and effectively use what they have learned when they return.” She reminded people not to think they were coming on holiday, but rather on a tour to provide tools for supporters of Israel who want to understand the complexities of the region and “don’t necessarily know how” to be vocal about Israel issues. “The reason for this tour, which is the first of many… is to provide South Africans and particularly students [with the necessary information]…and to expose students to it, because BDS and Israel Apartheid Week are on campuses. Let’s empower courageous, intelligent and bold people to respond to this in areas where BDS is quite high, and also in places where it hasn’t started,” she explains. It is Meshoe’s third trip to Israel, and this time she has gotten to see more than before. For the other members of the group, the visit was obviously impactful. Most of the members are in their 20s; with one colored (person of mixed-race ancestry) and one woman of Indian descent, as well as Benji Shulman, a Jewish representative from the South African Zionist Federation, the group of mostly black South Africans from Johannesburg, Cape Town and Durban represented the concept of the post-Apartheid “rainbow nation.” It also included a radio show host named Aurelia Kulenga and supporters of the ACDP; a member of Face of Israel, a group that helped sponsor the trip, also attended. The guide is careful to note the Holocaust was not carried out in the name of Christianity, but the group is shocked to imagine that, in the words of one of the pastors, “Christians could have done this.” When they see a photo of a bench with a sign saying Jews were not permitted to use it, there are obvious parallels to Apartheid laws. A picture of Jesse Owens, the African-American athlete who humiliated Hitler’s “supermen,” winning four Olympic gold medals, is of interest. What seemed to grab the group’s attention, in a twohour- long tour through numerous ghastly images and horrific stories, is especially the story of the Kielce Pogrom in July 1946. They have witnessed the terrors of the gas chambers and the race laws, but to learn how even after the war, the few Jews returning to their town in Poland were massacred by the local residents, makes the necessity for Israel clear. Emerging out into the brisk, cool Jerusalem air after Yad Vashem, many on the tour stand in stunned silence. Gone is the joking and humor from two hours before at the entrance. 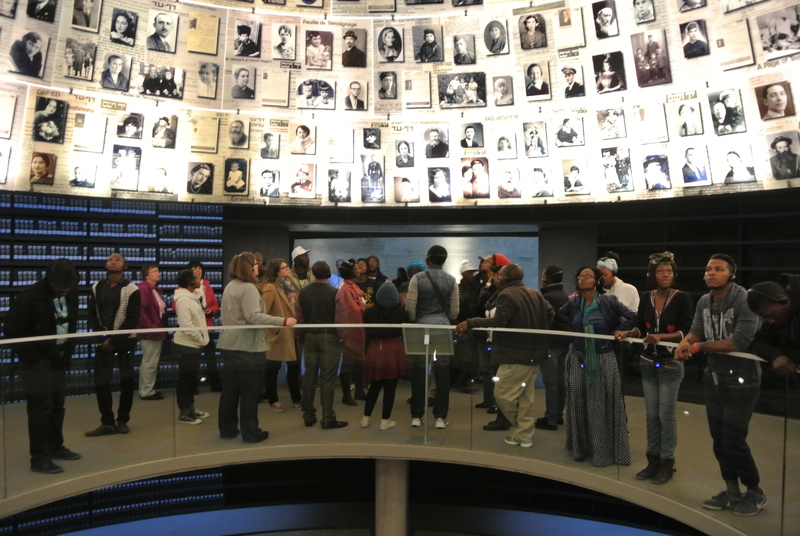 Andile Cele, a 27-year-old political science graduate of the University of Cape Town who is from Durban, says seeing the images of the Holocaust up close is new. “We learned about the Holocaust in school at home, and we learned about Hitler, but it was separate. Now, to see how humanity can be so evil is striking.” Cele wipes a tear from her eye. “To see this reminds us how Jewish people are like black people, we were both seen as a problem,” she says, describing how the Holocaust and other persecutions of black people, Native Americans and aborigines unites people of color. For Cele, Israel has been a fascinating experience – especially in light of what she had heard about the country. In South Africa, her friends and family are scared for her. 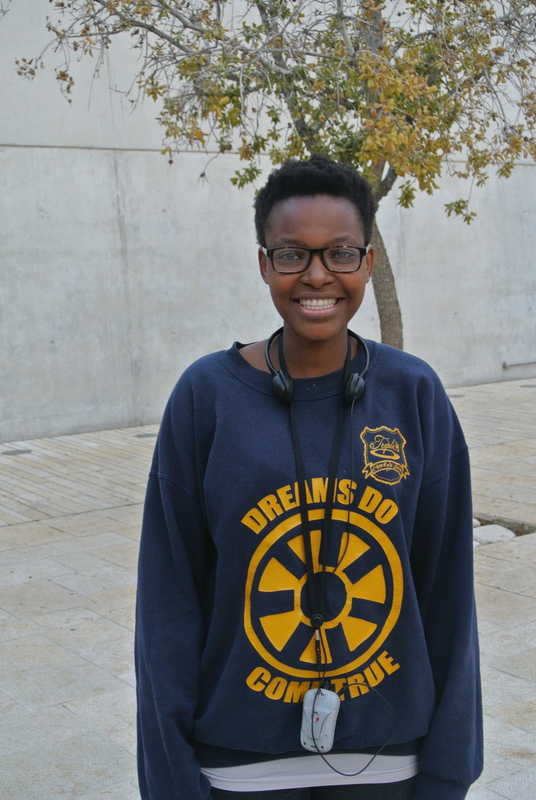 “People ask if I am safe, if there are riots, but it has been an awesome and great opportunity.” Seeing Israel in person brings into stark contrast the Apartheid that once existed back home. “We read about how Israel is accused of being an apartheid state, but we see freedom of movement,” she says. “That was one thing I noticed first. Also, we know about how Apartheid was about control, rules, passing laws.” There is no comparison, in her view. During the Gaza war this summer, the anti-Israel crowd was out in force in South Africa. But in a unique display of support, a massive 12,000-person pro-Israel rally was held at Huddle Park in Linksfield in northeast Johannesburg. Attended by South African Chief Rabbi Warren Goldstein, Ambassador to Israel Arthur Lenk and South African Jewish Board of Deputies president Zev Krengel, and supported by the South African Zionist Federation, the rally’s main component was black African supporters. But this rally was an exception in a lot of news coming out of South Africa. In March, the African National Congress expressed open support for Israel Apartheid Week. In August, former president Thabo Mbeki called for a boycott of Israeli goods. In October, an anti-Israel protester brought a pig’s head into a Woolworths in the affluent suburb of Sea Point in Cape Town, supposedly in response to kosher Israeli goods in the store. Meshoe says that views on Israel require education. “Our focus isn’t necessarily on those fundamentalists who made up their minds [against Israel], but because of the emotional connotation linked to Apartheid, there are a lot of people who want to make the right stand and do the right thing. Due to their ignorance, they feel that because Israel is accused of apartheid, the stand should involve Israel.” Thus, education can show people that Israel is not the bogeyman it is made out to be. The Jewish state offers a lot of potential for Africa, she says. “As Christians who want to see the advancement of society in Africa, there are so many challenges the world and particularly Africa faces. How can we not look to Israel, which has so much to offer, seeing what we could take out of it?” Towards that end, one of the projects DEISI has worked on is using Israeli methods of drip irrigation in a community near Johannesburg. She maintains that Israel is a symbol of a larger battle. “Your [Jewish] history is our faith… [It is] important for the survival of humanity in a sense; we have to stand with Israel. Frankly, once they are done with the Jews, look at North Africa, Iraq. If we don’t stand with the people being persecuted, what make us think we aren’t next? “The war against Israel is our own, we share a similar threat. One of the statements is: Their history is our faith, Jewish history is my faith.” Towards the end of the tour, as the group gathers around a monument to Dr. Janusz Korczak, the guide tells the story of Shmuel Gogol, a musician. Born in Warsaw, Gogol had been at Korczak’s orphanage and then deported to Auschwitz, where he played a harmonica as part of an orchestra escorting Jews to their deaths. After the war, as a traumatized survivor, he could never play music with his eyes open again – until he returned to the camp in 1993. 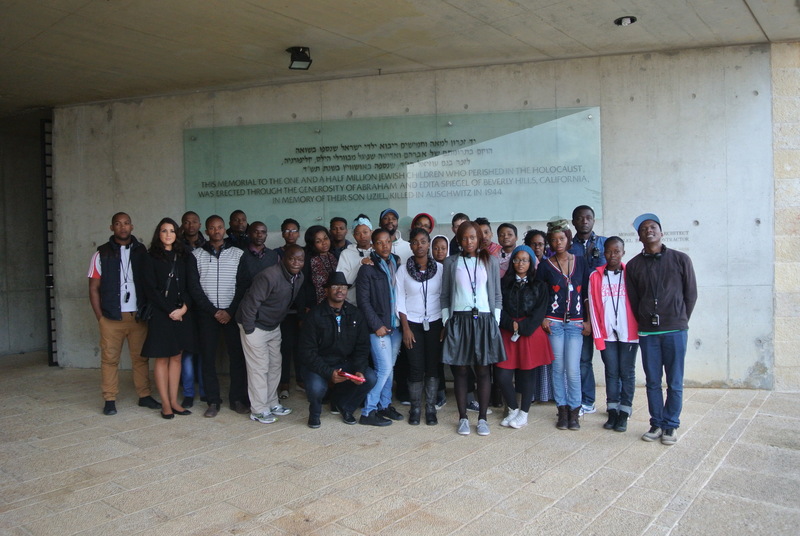 As the group of South Africans ambled away from the memorial, it was clear this hard-hitting story, as well as others in Sderot and throughout Israel, had opened their eyes – not only to the suffering of the Holocaust, but to seeing Israel, with all its details and nuances.